Total revenue for the quarter ended June 30 was $US4.04 billion, Facebook reported Wednesday, up 39 percent from the same period last year and just over analysts' estimates of $US3.99 billion, as polled by Thomson Reuters. But the company made less money than it did a year earlier, with net income falling by nearly 10 per cent to $US719 million. Earnings per share declined from $US0.30 to $US0.25. Excluding expenses like income tax effects, Facebook reported earnings per share of $US0.50, which beat the consensus forecast of $US0.47. In a statement, CEO Mark Zuckerberg called it a strong quarter. But the results also show that Facebook's costs and expenses ballooned by more than 80 per cent. Despite beating analysts' sales and earnings projections, Facebook's stock dropped more than 2 per cent after the results were released. Facebook is branching out from its roots in social networking. Over the past year, the company has pursed ambitious projects in areas such as solar-powered drones and virtual reality headgear. It bought headset maker Oculus VR last year for $US2 billion. Facebook is now developing its own virtual reality apps for Oculus. User growth remained about the same as it's been in the past few quarters. The number of users who logged in monthly grew by 13 per cent to 1.49 billion. That's slower than the pace a few years ago. Mobile users grew faster, gaining 23 per cent to 1.31 billion, but that was slower than the previous quarter's rise. 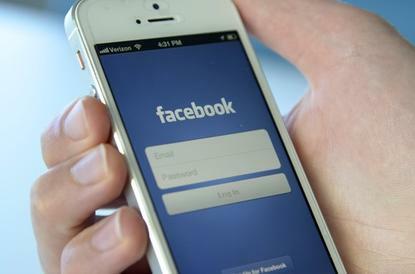 Facebook hopes to capture a larger share of advertising budgets typically reserved for TV. It's encouraging both users and advertisers to publish more video to its service, and wants to become a prominent video destination like YouTube. The company has also gradually begun putting more ads in its photo-sharing app Instagram, which the company acquired in 2012. It hasn't yet broken out advertising revenue for Instagram. When Facebook went public in mid-2012, investors initially were concerned about the company's ability to grow its revenue on mobile devices. But that's now where Facebook makes the bulk of its money. As of the second quarter, just over three-quarters of its ad sales came from mobile.